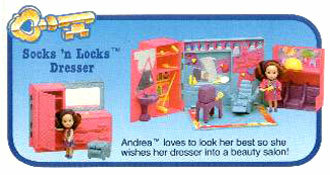 "Wish World Kids have a magic key that opens a wonderful world filled with fun and play. 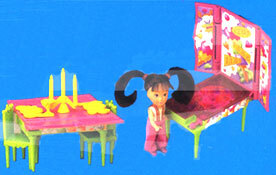 When the Wish World Kids wish really hard, their magic Wish Key begins to glow and furniture magically changes into fun places in Wish World! 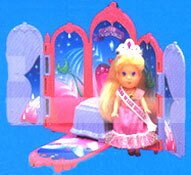 In Wish World every wish comes true... if you're one of the Wish World Kids!" 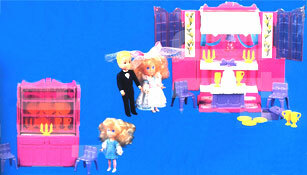 Wish World Kids were produced by Kenner from 1987-89. 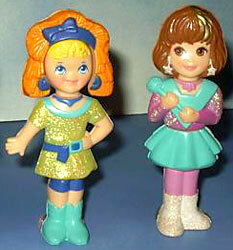 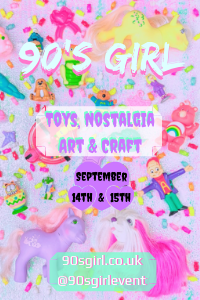 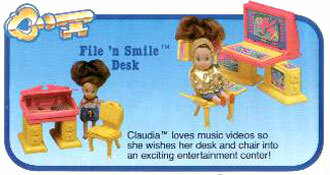 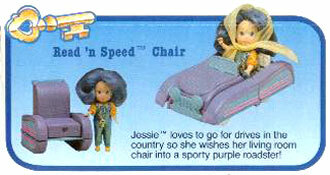 They were a series of 4" poseable dolls which each came with a piece of furniture that could change into another playset. 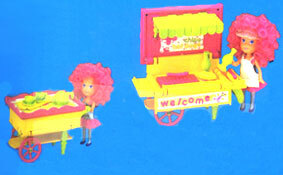 All images on this page are from the 1987 poster back, with thanks to Duke Nostalgia, and from the 1988 Kenner Toy Catalogue, with thanks to Totally Jem! 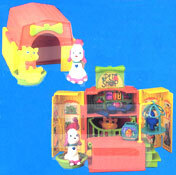 View all Wish World Kids on eBay.com or eBay.co.uk ! 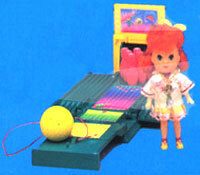 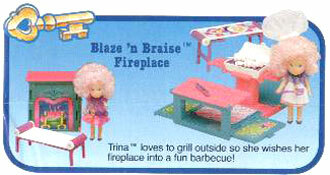 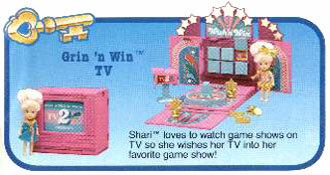 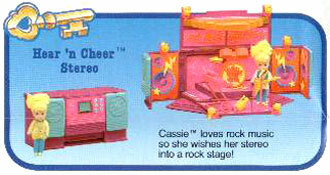 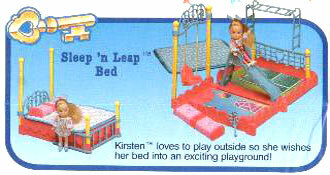 There were ten playsets with dolls produced in 1987. 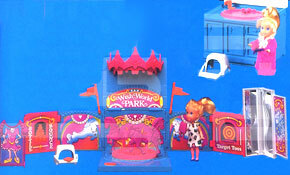 Each set came with a different poster and when all were placed together would make a map of Wish World. 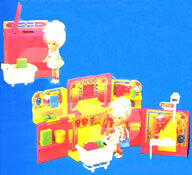 The other side of the posters had images of all the sets available. 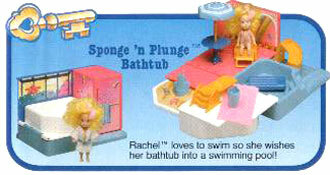 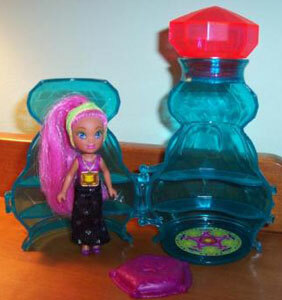 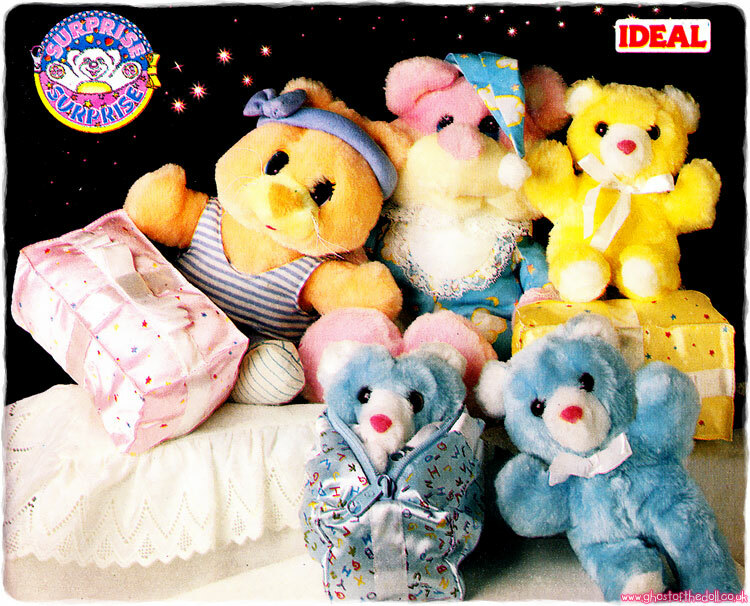 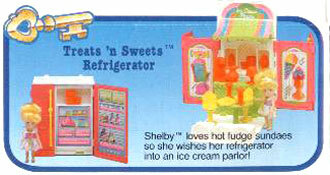 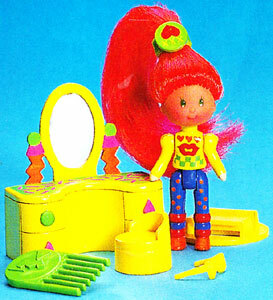 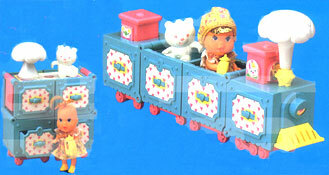 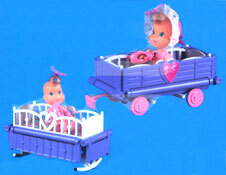 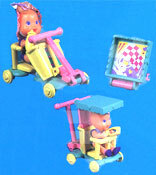 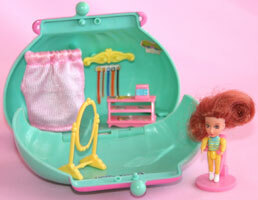 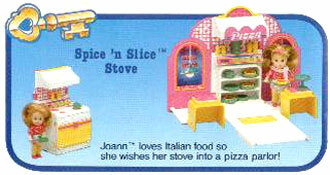 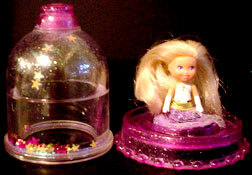 There were sixteen more playsets with dolls introduced in 1989 and five of these came with baby dolls. 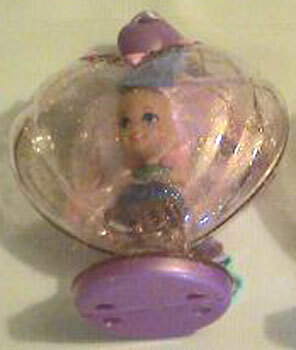 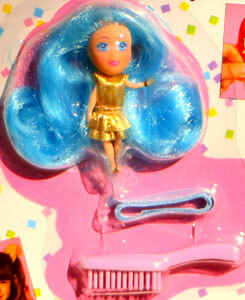 However, I am unsure if these were ever sold in shops as I have never seen any in their packaging or even loose.